In a few weeks winter will be arriving in California and there's no better way to start off a new season than by refreshing your look. And one of the easiest ways to do so is by giving yourself a fresh at-home hair color. I have colored my own hair at home since I was in my late teens and now that my girls are older, they do the same. It's just convenient, especially when life is so busy. The other day Cici was telling me that because of the extreme changes we've been having in weather, one day hot and another freezing cold, her skin and hair were going through some serious troubles. Her skin has broken out but at the same has been dry and flaky and her hair has been looking and feeling dry and lifeless. It was time to hit Walmart for a box of Schwarzkopf® Keratin Color and refresh her hair color while also making some changes to how she cares for her skin. We picked up a box of Schwarzkopf® Keratin Color in Espresso and she was able to do her own hair that day after getting home from work. That's one of my favorite parts about at home hair color, being able to do it at my convenience without having to make an appointment at the salon or having to spend a lot of money. 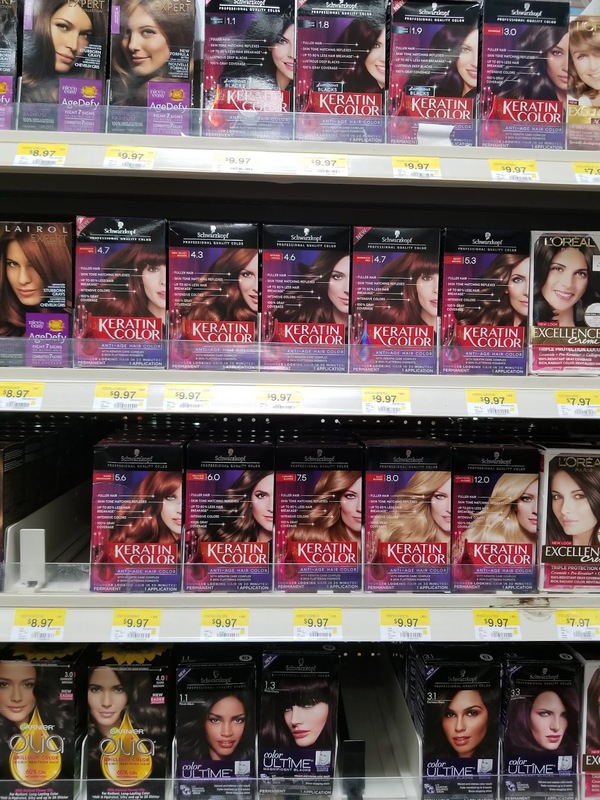 Each box of Schwarzkopf® Keratin Color is under ten dollars at Walmart. Step 1) Apply gloves and use pre-treating step #1 to treat ends of hair as per instructions. This allows for a richer hair coloring while preventing hair damage to ends of hair, which are usually more damage prone. Step 2) Mix cream color with developing lotion and apply evenly to hair. Leave on hair for instructed amount of time. If you get any hair dye on your skin remove it promptly with a damp washcloth. Step 3) Using the Keratin Care Complex Conditioner condition your hair as a final step to protect and give you soft and smooth hair that's going to look amazing. Cici doesn't love eyeshadow on a daily basis, especially when she has to get ready in under 20 minutes each morning. But adding a warm shadow to the crease and lining the eyes with a plum liner can make a world of difference. Add two coats of mascara and it looks like you put effort into your eyes when it actually took you just a minute to throw that shadow and liner on. 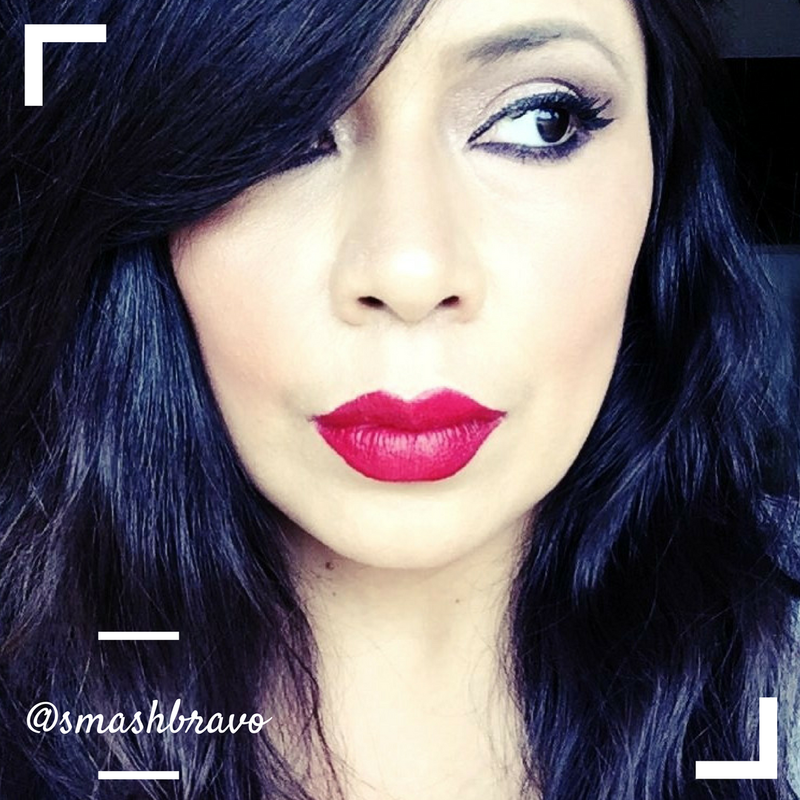 I love adding extra bronzer in the winter when skin is pale and devoid of a sunkissed glow. Also, popping a mauve blusher on the cheeks makes you look like you just came in from getting some sun instead of looking pale and sickly. This 10 minute makeup look is perfect for everyday life and because her hair now looks so healthy and shiny, her look has been completely refreshed. I am such a believer in giving yourself that little but if "me time" each morning to put yourself together so you can feel more confident to face each day. It's amazing how something so small as a fresh new hair color can make such a difference, but it definitely can. Keratin Color brings out confidence in every woman by gently restoring and augmenting her hair. With every purchase of Keratin Color we can also help women get a fresh start through a partnership with Dress for Success®. Dress for Success Worldwide empowers women looking for upward mobility to rejuvenate women’s hair and clothing options so they can be as successful as they look. Dress for Success Worldwide empowers women by providing them with the tools they need to achieve economic independence. Through education and mentoring, they’re making a difference in your community and across the globe. Over one million women have been served by this international organization and its programs. This partnership empowers women looking for upward mobility to revitalize women’s hair and clothing options so they can be as successful as they look. Proud sponsors of Dress for Success with a contribution of $125,000. We were able to update Cici's look for the coming winter so easily and without spending a ton of money. If only everything in life was so easy! See how others are updating their looks with Schwarzkopf® Keratin Color at the Social Hub. And don't forget to learn more at Dressforsuccess.org about Dress For Success and how they help women around our country look and feel more confident each and every day.